This entry was posted on November 3, 2017 by Sami. 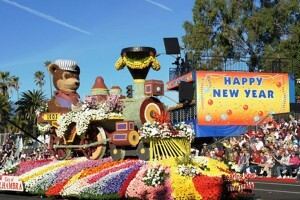 Dean & Carol Decker recently spent their New Years holiday on a Sports Traveler tour to the Tournament of Roses Parade and wrote in to let us know how it all went. 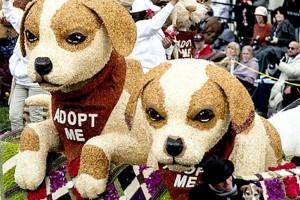 They stayed in Marina Del Rey as part of the fully guided four-night Rose Parade tour package. One of the biggest highlights of their trip was a tour of LA, including a visit to Beverly Hills and the world-famous Rodeo Drive. The day before the Rose Parade, the Decker family even went behind-the-scenes to look at the float decorating barns. The Tournament of Roses Parade has been setting the standard in Pasadena, California since 1890, and for 128 years has proven to be one of the most popular ways to ring in the New Year. Floats covered in hundreds of thousands of flowers, shaped into intricately designed patterns, animals and shapes wind 5.5 miles throughout Southern California each New Years Day. The streets flood with parade fans of all ages, all watching in awe of the beauty and illusions the designers create. Your Sports Traveler Tournament of Roses Parade Package also takes you behind the scenes to see the assembly of the floats and the hard work that goes into building these incredible structures. 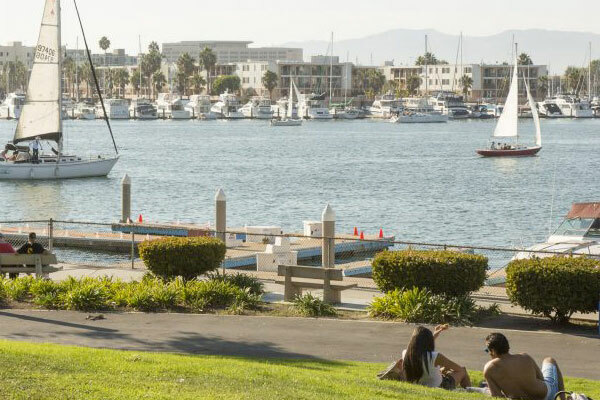 The Hotel MdR Marina Del Ray, a Double Tree Hotel, is in a prime location for tourists wanting to enjoy the seaside community, beaches, shops and restaurants. It allows you an abundance of walking distance activities. On New Year's Eve, the Deckers and some of our other guests headed to the the Marina for fireworks over the water for the early fireworks that starts at 9:00pm to celebrate the eastern time zone New Year. Another fireworks display begins at midnight to celebrate the New Year in the western time zone. Will you be joining us at the Tournament of Roses Parade in 2018? 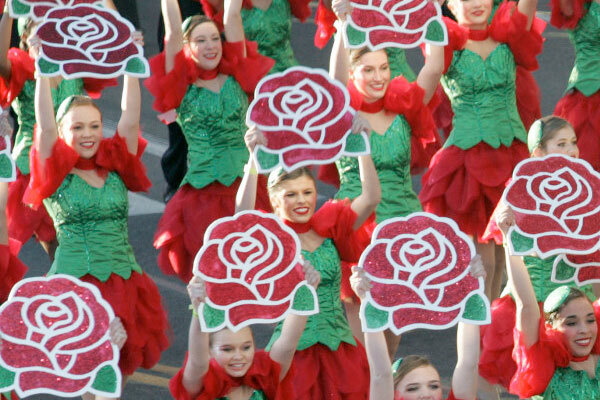 Check out how to start planning your trip today at our Tournament of Roses Parade webpage!